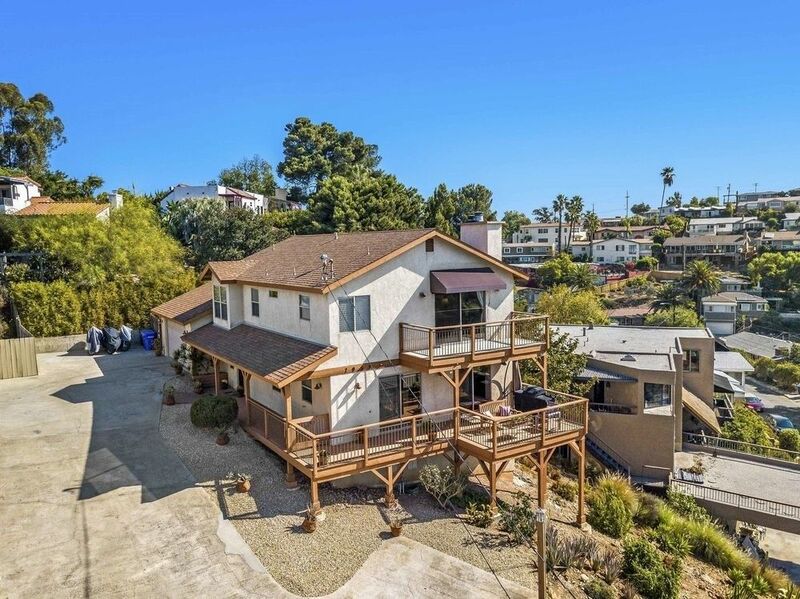 This lovely 4 bedroom home in the heart of Windsor Hills offers some of the most amazing views from La Mesa to the coast, you can even see ships at sea on a clear day. Located not far from La Mesa's "Secret Stairs" and featuring living and family rooms, dining room with fireplaces in the family room and master bedroom. You can dine "al fresco" from the deck and enjoy the views, sunsets are spectacular. Landscaped with drought tolerant plants for easy maintenance. Don't wait and miss this opportunity!